The RBC Heritage was a good tournament to watch last week, and it came down to a playoff. Feel bad for anyone on Si Woo Kim but it was an excellent performance by Kodaira who had that exceptional round 2 and he got the big win. 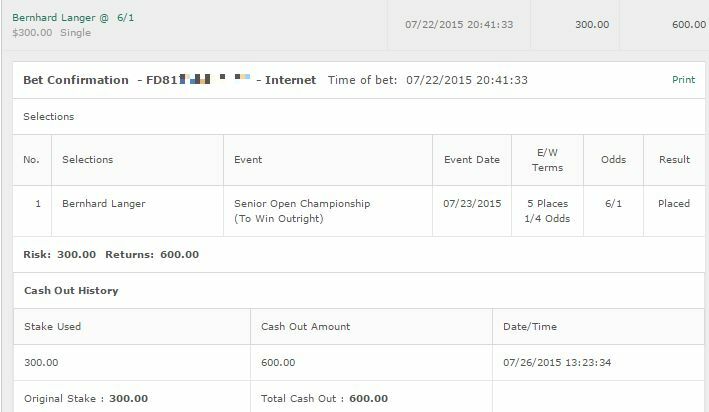 I said last week the Open De Espana was Rahms to lose and he won it as expected. 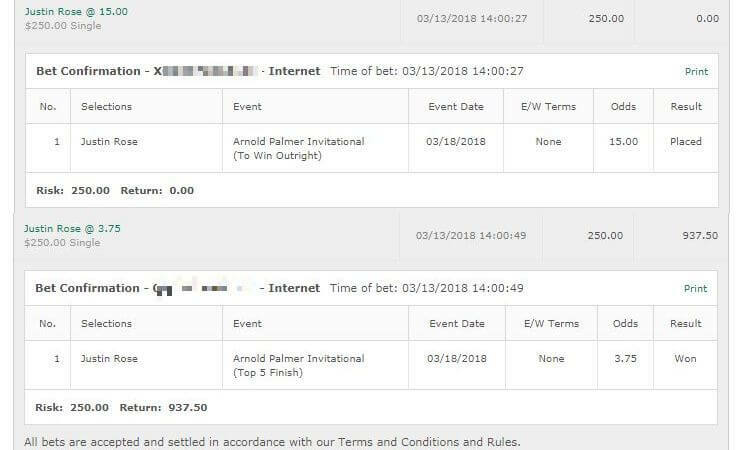 Honestly I really wish I could have tipped him but I just think backing anyone in golf at 4/1 odds is just plain silly. As it is he was consistent throughout but really Paul Dunne ad Nacho Elvira were right there with him and just couldn’t keep it going on that final day. We turn our attention to this week with a lot of great golf action. 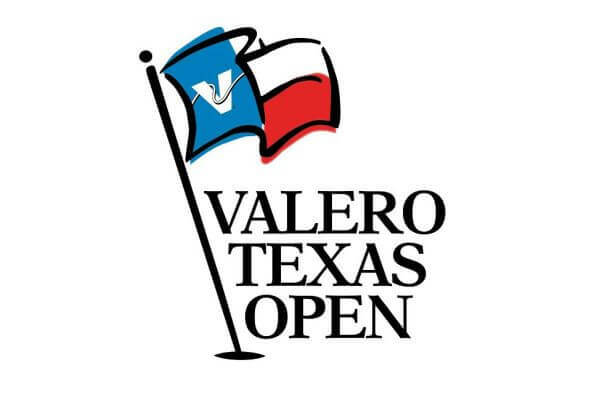 We’ve got the Texas Open and the Trophee Hassan II. The LPGA has the Hugel JTBC LA Open and the Champions Tour has the Legends of Golf. I won’t be tipping that one but I do find it enjoyable to watch. Always a tricky course and it benefits the power hitters. Ryan Palmer: Palmer isn’t in the best of form at the moment but he’s someone who can step out of nowhere. For example his performance out of nowhere at the Barracuda last year. He tends to do well on this course and I’m backing him 1/4 unit to win & E/W. It’d be a 1/2 unit except while he can step it up out of nowhere he does tend to need a good little run of form to really break the top spots. Luke List: In some solid form at the moment. He’s never really stepped it up on this course like he really should, but I think he’s a strong possibility here. He suits up for this course well and I’m fine with 1/4 unit to win & E/W on him. Jason Korak: Honestly there’s nothing to suggest he will do good here. One 2nd place performance years ago. He’s on a bad run at the moment. However when I crunch the numbers, he keeps coming up and at 80/1 he’s gotta be worth a play. 1/4 unit to win & E/W. This one is back at the Royal Golf Dar Es Salam. In terms of course history it hosted 3 of the rounds in 2010 and then the entire tournament the last two years. Another tough coruse. Renato Paratore: Two solid top 10 finishes the last two years. I’m good to bet him at 1/4 unit to win & E/W as he’s coming in off the back of a decent performance. Paul Dunne: It’s very possible after last weeks struggle down the stretch, Dunne completely collapses here. He knows he could have won that tournament. Despite that his odds are great considering his skill and his performances here. 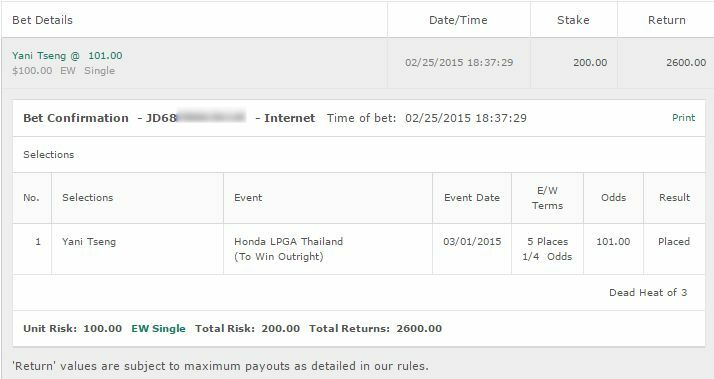 I’ll advise caution and bet just 1/4 unit to win. Nacho Elvira: A strong performance last week and 2nd here back in 2016. I’m good with 1/4 unit to win & E/W. That’s all I’m on this week.